We have healthy puppies ready to go. They have had their shots and have been de-wormed, and the purebred babies are registered. 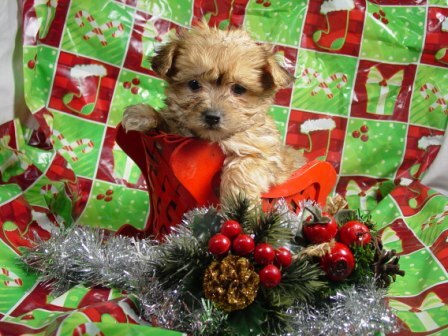 There are adorable Yorkies, Maltese, Yorkie Poos, Morkies, Chihuahuas, Poodles, Dachshunds, Designer Breeds, and more available on our website. Please e-mail for the link and more information. Prices start at $495 for most puppies. Some are a little more, and some are a little bit less.